SORRY, THIS EVENT IS NOW FULLY BOOKED. 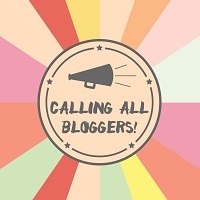 Whether you’re an established blogger, a blogging newbie, or just love to talk about books, we want you to get involved. Join our local blogger community by coming along to one of our monthly meetings and get together with like-minded people. We’ll be serving croissants, pains au chocolat, hot drinks and juices, as well as providing a meeting space to bring your online conversations offline. These sessions will take place on the last Sunday of every month and whether you come to one, two or all of them, you are all welcome. By coming along, you’ll not only get to meet some great people and enjoy a bookshop out-of-hours, but you will also receive exclusive discounts to use that day. Every six months, we will arrange for a special guest to visit, so do sign up as a member of our blogger community by emailing events@foyles.co.uk to be kept in the loop. Ticket: This is a free event. Simply email events@foyles.co.uk to book your place. Please note, no physical tickets will be issued (to save the trees!). Your email confirmation is proof of booking.